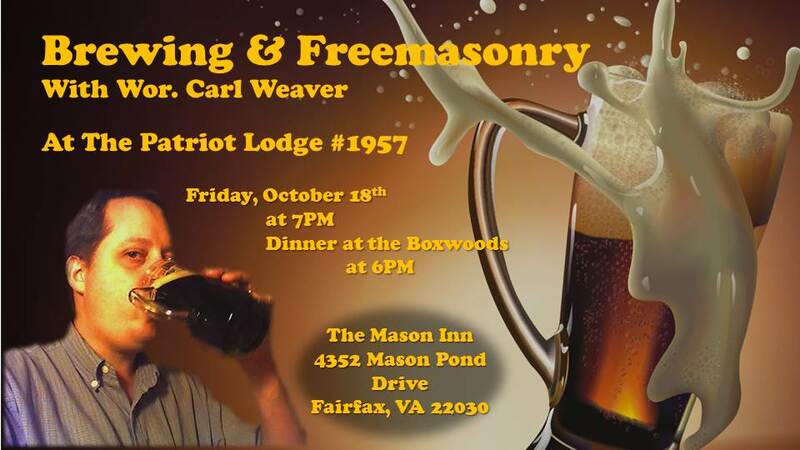 Join The Patriot Lodge at it’s next stated communication on October 18th at The Mason Inn at 7PM for a special presentation by Worshipful Carl Weaver on Brewing and Freemasonry. Dinner will be at 6PM at the Boxwoods restaurant (also at the Mason Inn). No RSVP needed!